Broad Street today is full of ethnic restaurants, but in the late 1970s Latinos anxious for a taste of home had very limited choices; Doña Fefa sold a few prepared foods in her store, but otherwise families had to cook their own. Roberto and José González, Puerto Ricans who arrived in Rhode Island via New York City in 1968, opened Antillas Restaurant on Broad Street in 1978. The raw materials they needed were scarce in Rhode Island, so every Wednesday José drove a rented truck to the huge food distribution facility in Hunts Point, New York, where he could find what he needed: pork belly to make chicharron, or pork crackling, tripe to make mondóngo, or tripe stew, green plantains, waxy yellow melocoton (peaches), and fragrant cilantro to flavor sauces and salads and stews. Food is an important part of culture. If a new group arrives in a community and cannot find familiar foods, as Roberto González remarked, "They kind of feel very isolated." Like Fefa's Market, Antillas soon became a meeting place for the Latino community, where Dominicans, Cubans and Puerto Ricans could listen to merengue and salsa on the jukebox. They also started to organize politically. 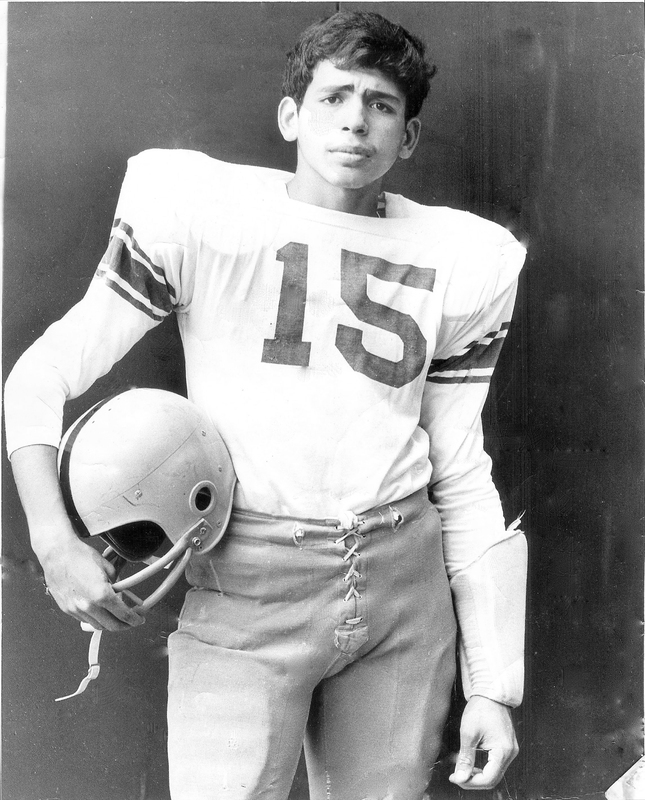 Latino students from local schools joined them over steaming bowls of oxtail soup, fish stewed in tomato sauce with onions and peppers, or heaps of rice and beans, and also joined them in voter registration drives. Running a restaurant is hard work; the ambitious González brothers sold the business in the early eighties and went to school. 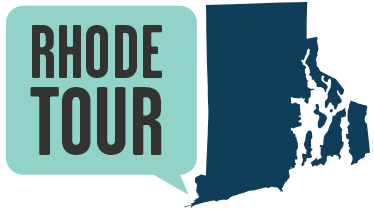 José received his doctorate in education from Harvard, and Roberto became the first Latino judge in Rhode Island. The building itself was demolished, but dozens of Latino restaurants have followed in Antillas’ footsteps. 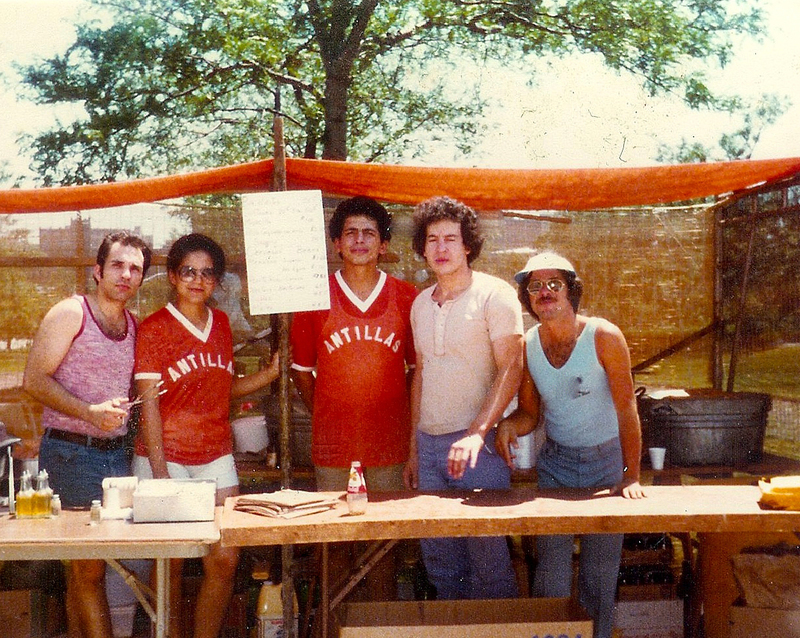 a Dominican Street Festival: Taken in the 1970s, this photo shows workers and management of the Antillas restaurant selling food at a Dominican street festival. 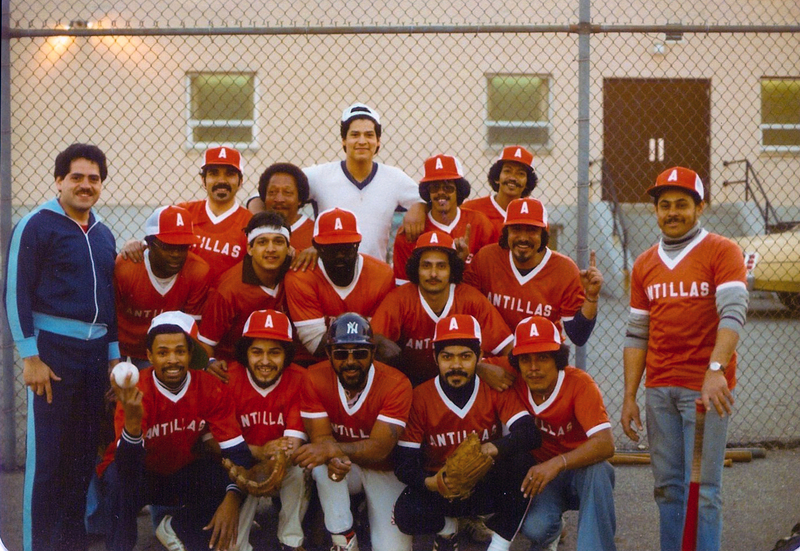 Antillas in the Community: This photo from the 1970s shows the members of a local Latino baseball team who were sponsored by Antillas Restaurant. 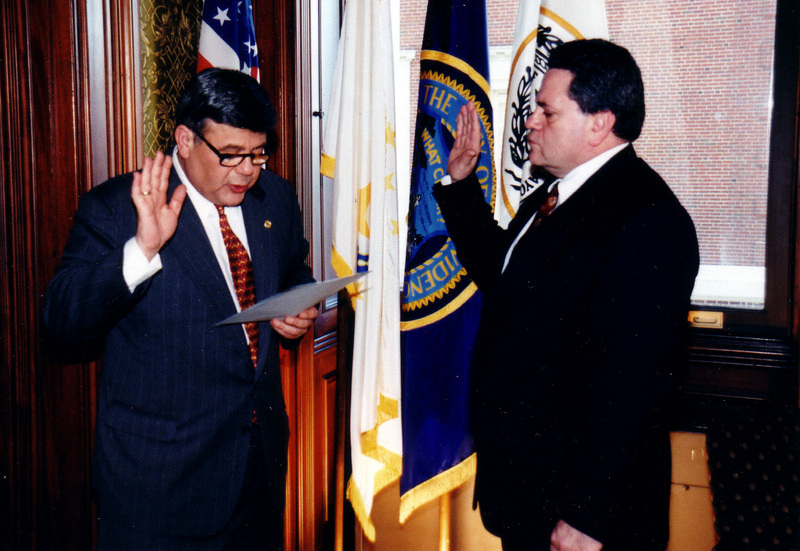 Roberto Gonzalez being sworn in: Roberto Gonzalez, who opened Antillas with his brother José in 1978, can be seen here being sworn in as Rhode Island's first Latino judge in 2004. “Antillas Restaurant,” Rhode Tour, accessed April 21, 2019, http://rhodetour.org/items/show/101.